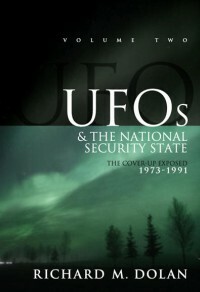 The Brits declassified the 7th batch of UFO-documents in March 2011. They are available for download on The National Archive's website and cover the period 2000-2005. Watch comment from Nick Pope on ITN News. He is a former employee at the MoD's UFO-desk. Some of the most well known UFO-experts are likely to speak at a business conference in Riyadh in Saudi Arabia, January 22-25 2011. The Global Competitiveness Forum (GCF) is hosting the event. The following pundits are expected to address the UFO-topic: Nick Pope, Stanton Friedman, Michio Kaku, and Jacques Vallee. See the entire list of speakers. We find it extremely interesting that some people in the business world apparently have opened their eyes to the potentially enormous opportunities when it comes to economic and sustainable growth. The conference is held under the patronage of King Abdullah Bin Abdulaziz. Read more about the The 5th Annual GCF. Former Prime Minister Tony Blair will probably also be speaking at the gathering, but is not likely to address the issue. BBC reported on December 22nd 2010 that the military in New Zealand has published approx. 2000 pages of UFO-documents. They cover the period 1954-2009 and contain drawings as well. However, many names of witnesses have been deleted prior to the release. New Zealand is only one out of many countries which have declassified UFO-documents during the last 5 years. To a large extent we interpret the many releases as "signals of impatience" aimed at the United States. Read the article on BBC's website. Two military witnesses in connection with the famous and "strong" Rendlesham Forest-UFO-case are arranging a 30-year anniversary night close to the former Bentwaters/Woodbridge bases in England (Dec. 28th 2010). Jim Penniston who allegedly touched the perhaps extraterrestrial vehicle and John Burroughs will be flanked by Nick Pope, a former employee at the Ministry of Defence's UFO-office. The researchers Linda Moulton Howe and Peter Robbins will also be present. Visit the event's website: bentwaters1980.com. 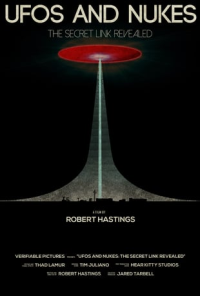 If you are not familiar with this complex UFO-case you can watch James Fox's documentary "I Know What I Saw".